THE Philippines needs to create 15 million jobs in five years in order to close the unemployment gap, according to a former dean of the Ateneo de Manila University School of Economics. 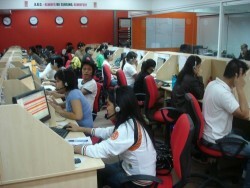 Dr. Fernando Aldaba, former president of the Philippine Economic Society (PES), said that around 15 million Filipinos are jobless and hold only part-time jobs during certain periods of the year, and included among them are overseas Filipino workers (OFWs) whose work contracts have expired. 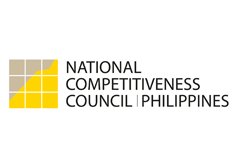 Aldaba based the conclusions on an eight-month study he made as the basis for the formulation of an industrial policy for the country by the National Competitiveness Council (NCC). “[We] must be able to create an average of 3 million quality jobs a year for the next five years to be able to bridge the real unemployment gap and bring down the unemployment rate at 2 percent by the end of the fifth year,” Aldaba said in a statement issued by Philexport. Aldaba said that around 2.82 million Filipinos are totally jobless and are looking for jobs, while another 7.3 million are the underemployed who are working in low-paying jobs in the services sector. Adding to this number is around 5 million returning OFWs whose contracts have ended. With this, Aldaba said that quality jobs are needed by as much as 15.16 million Filipinos. “As we chart the way forward for improving competitiveness and governance even after the May 2010 elections, we have to prepare plans for continuing the projects that have gained champions from the various business groups in both competitiveness and governance,” NCC private-sector chairman Ceasar Bautista said. “It is predicated on the assumption that the private-sector leaders will be able to present these proposals to the top leadership of the new government as this administration bows out in June,” he added. Aldaba presented his findings to leaders of key industries in the country, including officers of foreign chambers of commerce. They are tasked to draw a road map to bridge the unemployment gap for the country in the next five years. Businessmen offered suggestions on how to close the unemployment gap. The areas that could offer jobs to Filipinos include the mining industry, the tourism sector and manufacturing, particularly automotive and electronics. However, they agreed that the most decent jobs would be created in the manufacturing sector. In the statement of Philexport, Ernesto Santiago, president of the Semiconductors Electronics Industries of the Philippines Inc., said the key to developing the sector is investments. Santiago said that in the electronics sector, a P1 million worth of investment creates one quality job. In the garments sector, P50,000 worth of investment creates one job, while P30,000 worth of investment is needed by a furniture maker to create one job. The tourism sector was identified as another big job generator. For every foreigner visiting the country, the government believes the country can create jobs for three Filipinos. However, through the years, the industry—which was the envy of the rest of Asia in the 1970s—has lagged behind its neighbors in terms of investments. Meanwhile, Chamber of Mines of the Philippines president Benjamin Philip Romualdez said while it is true that the mining sector is a bright spot in the economy, the biggest hurdle in developing mining prospects is the lack of policy consistency. Romualdez, also the chairman of publicly listed mining firm Benguet Corp., said the government must create consistent policies since there are local government units that have declared a moratorium in the development of mining projects in their localities. The NCC was created through an executive order in 2006 to help the government avert the continued decline of the country’s competitiveness rating, which has continued to skid to the lowest ranks of the most uncompetitive economies in the world in recent years.